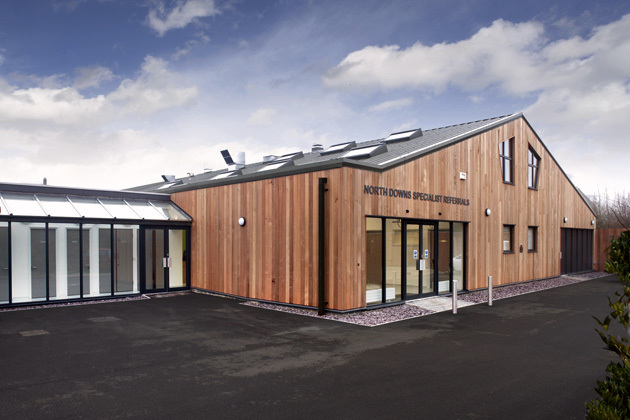 The proposals were to refurbish an existing industrial shed into a new specialist veterinary unit, linked to an adjacent office building. The surgery required a large reception area and a front entrance which, like a hospital, is calming for its anxious visitors. An industrial building, used for storage, has limited use for natural daylight. A specialist surgery is the opposite: as much natural daylight as possible is required to enhance the working and healing environments. 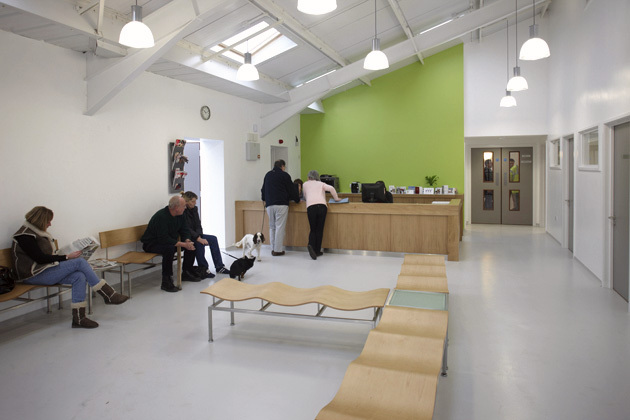 Internally, reception and consulting rooms are to the front, with clinical spaces and kennels behind. A mezzanine area, in the centre of the portal frame, provides for further support services such as the laboratory, food preparation, instrument care, office space and plant room. The front elevation is clad in timber with openable powder-coated aluminium windows for natural ventilation. 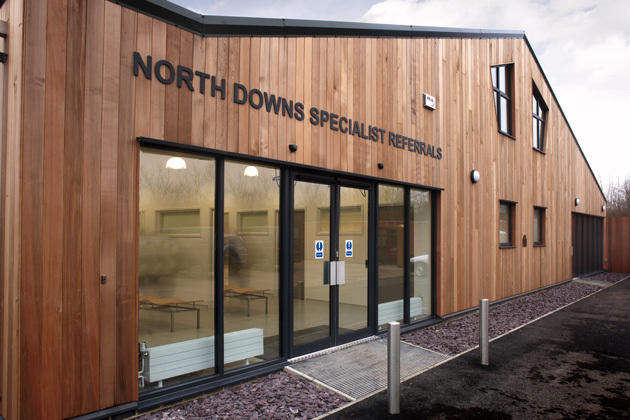 The timber gives a ‘barn’ feel to the front elevation, getting away from the industrial look of the existing cladding and providing a more contemporary entrance into the clean, modern reception with its overhead roof lights. The link building is a simple structure, using as much glass as possible.